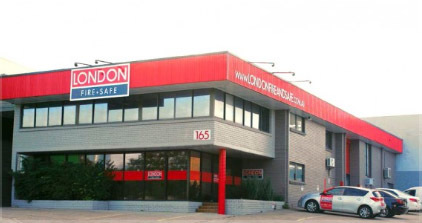 London Fire and Safe has a long and proud history dating back to 1986. We are an Australian, privately owned and operated company who have been based in Brisbane since we were first established. Ian Harvey founded London Fire and Safe in 1986 after working in the industry for several years. Thanks to this experience and his desire to become an industry leader, Ian set about developing the business from its humble beginnings to what it is today, a dedicated, professional and quality business that is now a name synonymous with fire protection services, not just in Brisbane, but across Australia. In the past 30 years London Fire and Safe have cemented our position as one of Brisbane’s leading Fire protection and fire and cash Safe specialists. We have an experienced and loyal service team who are continually out on the road servicing our clients’ needs throughout the year. Our service team is supported by a hugely experienced management team based at our East Brisbane premises. Thanks to the skill, dedication and experience of our team, we are now an industry leader within the fire equipment and security safe business. Often when we think of safes we associate them with banks or large businesses and maybe don’t consider them for our own homes. When we talk to people about installing a safe in their home we are often told that they don’t need one as they say they “live in a good, secure neighbourhood” or that they “they don’t have anything of value to hide”. Unfortunately, in today’s modern world, most of us require safes. Thieves don’t knock at our doors and we tend not to invite problems into our homes, but these things exist, so it is better to be prepared rather than regret it later. At London Fire and Safe we have a wide selection of safes for domestic and commercial use. Our helpful team will be able to advise you what equipment would be most suitable for you. When it comes to fire protection, our fire division team will make you feel more secure as you will be dealing with an expert rather than a novice. We have over 30 years’ experience in the industry and offer the latest products and services that have all undergone stringent testing. We stock the leading brands from home and abroad when it comes to fire extinguishers along with all the other fire protection solutions that are required in industrial and commercial premises. At London Fire and Safety, we are of course fully accredited by all the relevant Australian authorities to conduct all the services and sell all the equipment that is available on our website.